APNM’s mission is to advocate the rights of animals by effecting systemic change, resulting in the humane treatment of all animals. Since 1979, APNM has been advocating for animals by effecting systemic change, working towards the humane treatment of all animals. This includes active support of local and state legislation towards the prevention of animal cruelty, as well as public awareness campaigns designed to teach students and communities across New Mexico about the ongoing threats to animals. 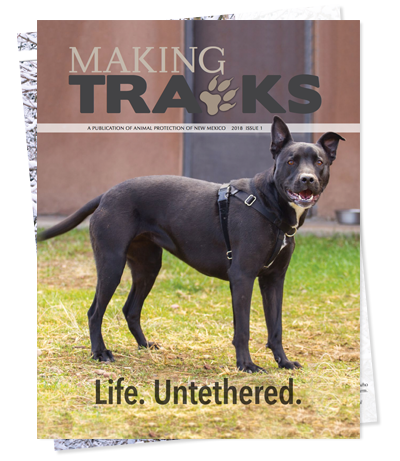 What began as a small, dedicated group of citizens concerned about the unmet needs of animals has grown into an influential organization that is making a significant difference for New Mexico’s animals and the communities in which they live. We are responsible for the passage of dozens of laws to protect animals in the state, while dramatically raising the visibility of issues New Mexico’s animal population regularly faces. APNM achieves its mission in a variety of powerful ways. We help create policies that protect animals and work to ensure that humane laws are vigorously enforced. We also establish relevant and practical solutions to take on seemingly insurmountable animal cruelty issues. By challenging and changing entrenched systems that harm animals, we are elevating animal protection concerns from a “fringe” issue to one taken seriously by the public and policymakers, who are beginning to understand the deep connection between the welfare of animals and that of society overall. 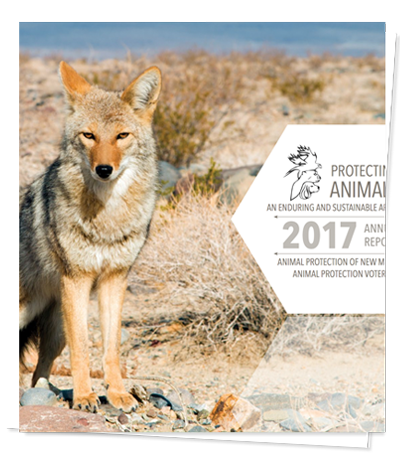 In 2019 Animal Protection of New Mexico will celebrate its 40th anniversary of planning, implementing, and succeeding at hard-hitting advocacy campaigns across a broad spectrum of animal protection issues. As a non-profit 501(c)(3) organization, APNM depends upon donations, volunteers, and grants to continue its mission. We encourage people to work for animals on a daily basis, since improving conditions for animals often means that each person must become personally involved. Please support our work and be active for animals. View our accomplishments by year. Animal Protection of New Mexico takes very seriously its responsibility to make the biggest and best difference with our donors' hard-earned dollars. View the Animal Protection of New Mexico board of directors. 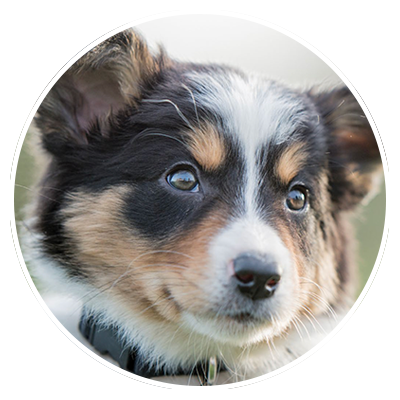 Learn more about helping animals with the APNM Foundation.